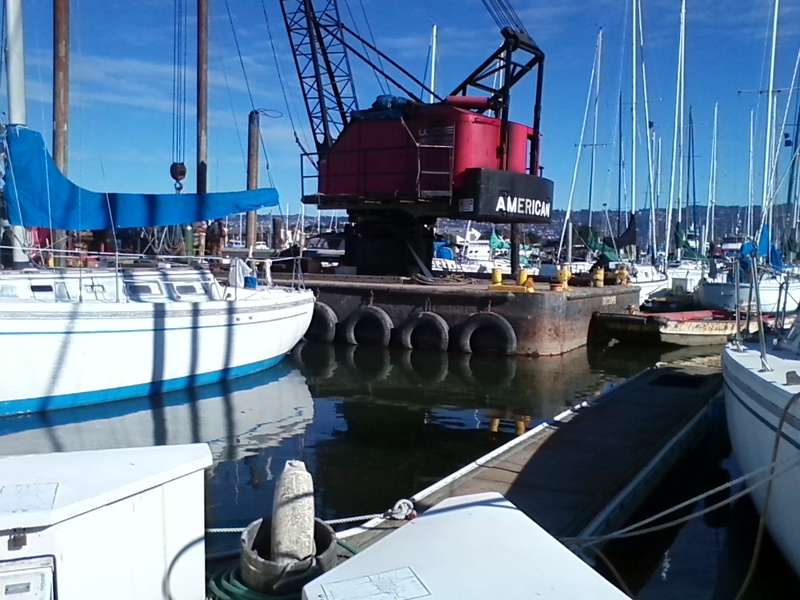 The pounding pile driver barge is in my neighborhood and so I fled. If I lived in a house and a jack hammer was right outside I would just have to suffer. Mobile little Bonita simply trundled off to a different corner of the marina to stay out of the way. It’s fun to wake up somewhere different, even if it’s essentially the same place. The light comes in through a different window. The motion of the boat is not what I’ve grown used to. And I am convinced that thinking of a particular slip as your own is a mistake. I graduated from a red name tag to a blue one at the yacht club. This indicates the end of newby status for me there. Not sure why I am pleased about that, but I am. The club continues to be a delight both for the amenities and the company. I can’t wait to get Bonita ship shape so I can participate in the cruise outs. Austin graduated to his extend-a-leash 30′ line today. He no longer needs me to support his wobbly walk. 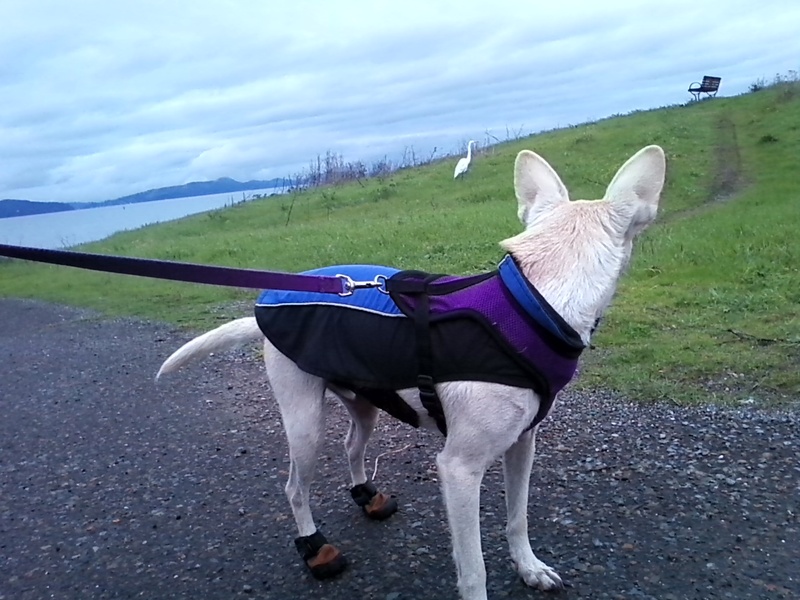 He has to wear booties on his back feet to protect his toenails which are sanded down to the quick from dragging. He’s not crazy about the booties but it beats profuse bleeding. This entry was posted on Wednesday, January 5th, 2011 at 6:26 am and is filed under Crew and Guests and Cruising Life. You can feed this entry. You can leave a response, or trackback from your own site.